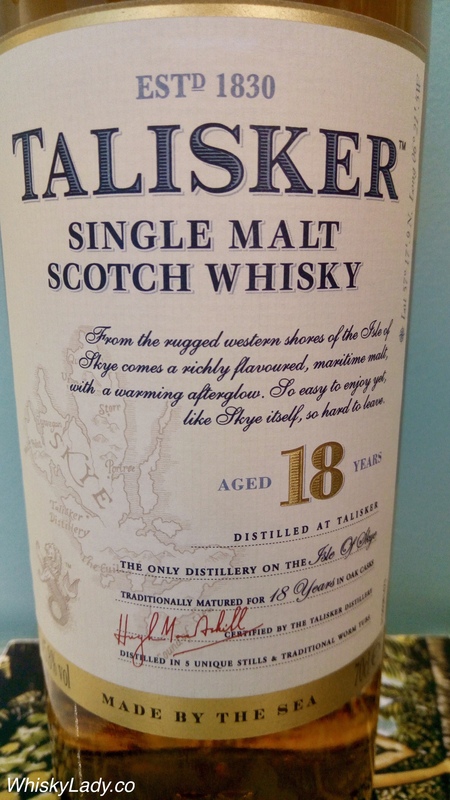 Last in our random session of Scottish drams, was an opportunity to revisit this Island whisky from Talisker – nicely matured to 18 years. 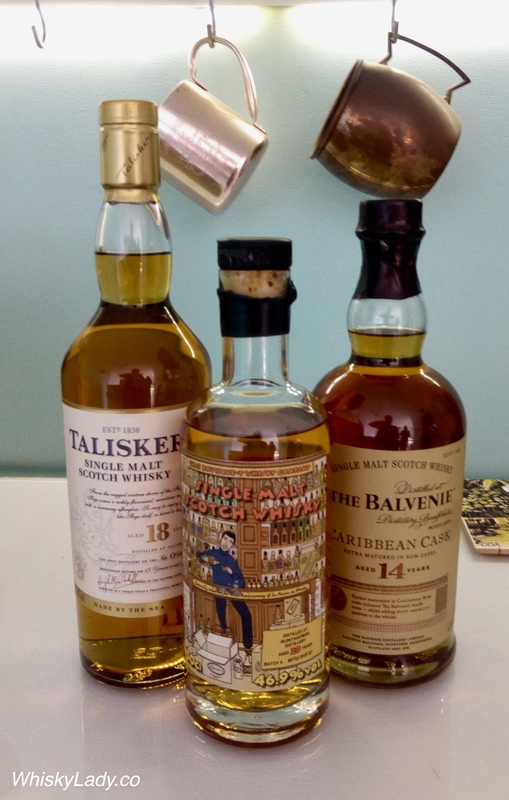 Here is what our Whisky Ladies found.. Overall we found it was a fall whisky, think apple pie and autumn leaves. Rich and fruity – Victoria plums, greengages, perhaps dried orange peel – with some butterscotch or rum toffee and a thread of smoke behind. The smoke soon advances into the foreground and the toffee note is joined by a light mintiness. With water, appropriately, maritime characteristics emerge – dry boat varnish, edible seaweed. Still sweet; now with notes of iodine and the smokiness of an un-struck match.